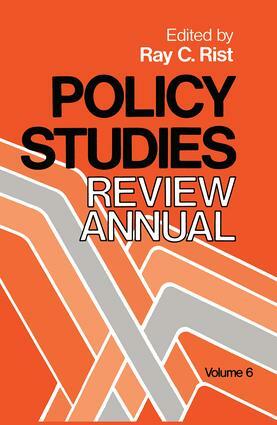 The sixth edition of this annual collection of the year's best work in policy studies. Contributions in this volume reflect the increased emphasis on budget conscious and carefully targeted social programmes. Exemplifying a range of analytic and methodological strategies, this edition features studies from Australia, the United States, West Germany, and Great Britain.